preparation but this variety is originally from Catalonia. 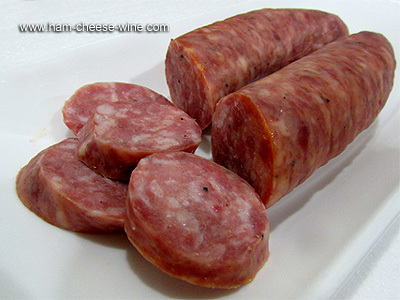 The Catalan sausage is a typical product of Catalonia cuisine, ideal for barbecues, for snacks after being dried and an emblematic dish of Catalonia. Why add Catalan Sausage to my diet? 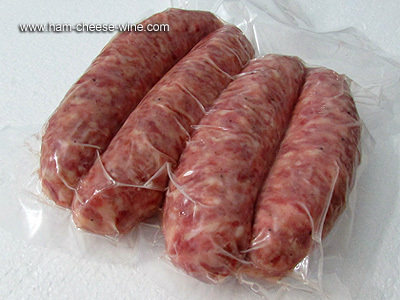 Being a thick sausage whose size varies depending on the casing used in its preparation, with a tender mellow texture and a mild and aromatic flavor, Catalan Sausage White has become essential for many kitchens. 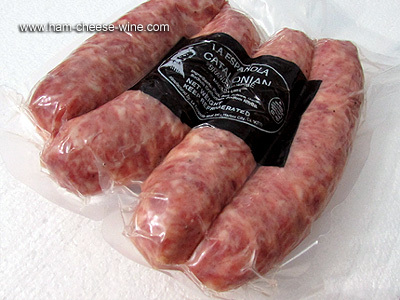 The Catalan sausage is made with lean pork chosen carefully to not have fat, tendons or bruising, often from the legs or backs of young castrated pigs, and in some cases it is added a bit of chin or bacon to confer more juiciness. This choice of meat is cut into small cubes, salted and left to sit between two days to a week in a cold room, and after that it is flavored with green pepper, sugar, nutmeg, dry wine, liqueur, truffles and other spices, then it is kneaded and packed on selected clean casings. After cooking they are sent back to the fridge for storage. 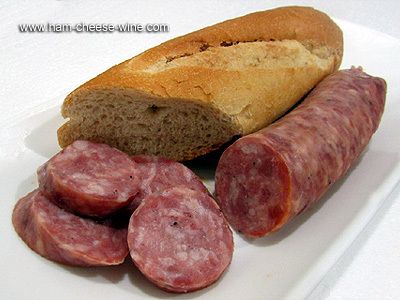 The Catalan Sausage White is a food with a high protein level has certain amounts of fat and cholesterol depending on whether pork chin was added or not to make it. These Catalan sausages are ideal for breakfast and children snacks, mostly because of its texture and for having a smooth flavor.